Although the U.S. is a leading force combatting global wildlife crime, it remains the world’s second-largest market for illegal wildlife products. 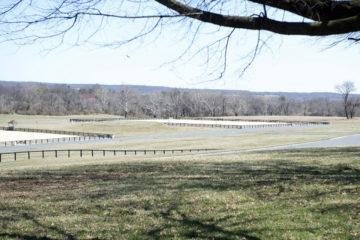 On Dec. 19, 2018, Upperville resident Keith Foster pleaded guilty to violating the Lacey Act, trafficking illegal endangered wildlife products through his Middleburg shop, The Outpost. He forfeited $275,000 and over 175 smuggled wildlife products, including ivory, sawfish blades, turtle shell and more. 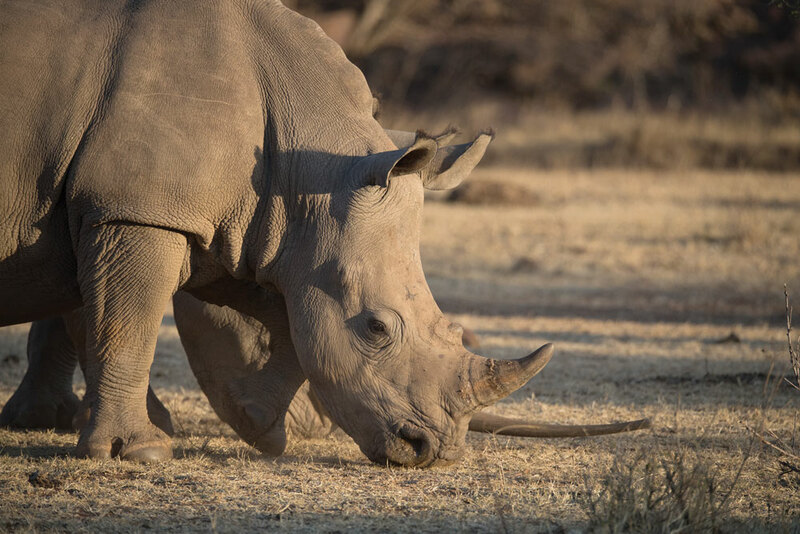 The following story illuminates how some Middleburg residents are engaged in a bold effort to fight the illegal wildlife trade and save one of the planet’s most treasured and endangered inhabitants: the rhino. A cacophony of birdsong and buzzing insects penetrates the Botswanan September air with surprising density, nearly drowning out the lunchtime conversation. Sitting outside at a long wooden table are two of the most widely recognized wildlife filmmakers in the world, National Geographic Explorers-in-Residence Dereck and Beverly Joubert. Across from them sits Dr. Sven Bourquin, a renowned crocodile expert. But crocodiles are not the topic of today’s conversation; today, they are discussing the Jouberts’ latest big-thinking solution to Southern Africa’s rhino poaching epidemic. 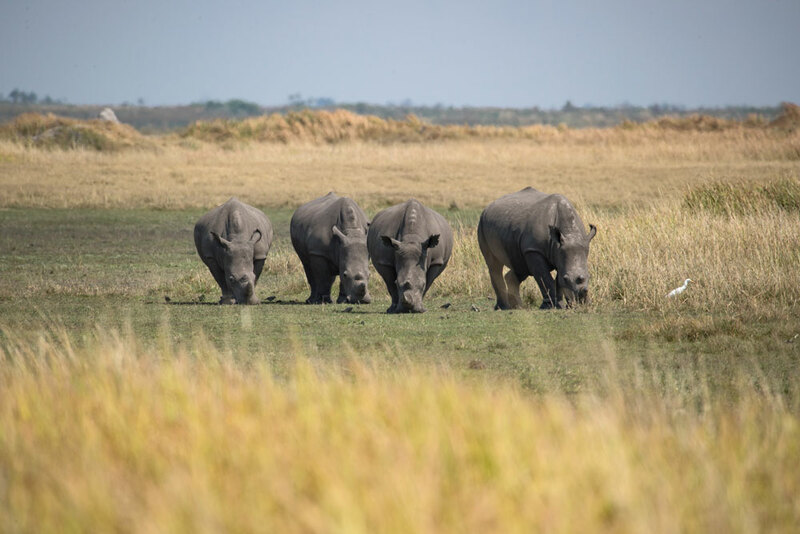 Four of the 87 rhinos moved to date, returned to their natural habitat in Botswana’s Okavango Delta. 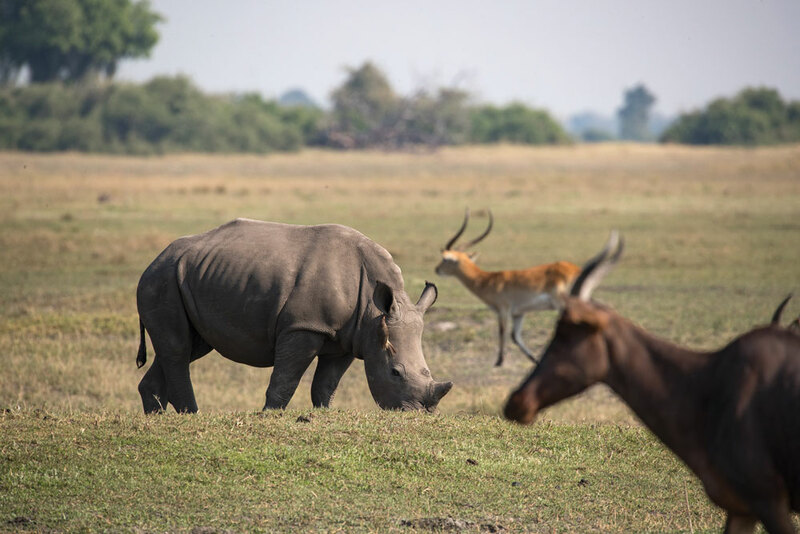 The project, Rhinos Without Borders, is an audacious plan to translocate at least 100 rhinos from heavily poached areas in Southern Africa to safe havens in Botswana, a country whose “no tolerance” poaching policy has been both controversial and effective. Bourquin is the project’s monitoring coordinator, responsible for a team of rhino monitors that works with the Botswana Defense Force and Department of Wildlife National Park’s anti-poaching units to keep constant watch over the 87 rhinos that have so far been moved under program—as well as the 22 rhino calves that have been born since the translocations began in 2015. Private reserves like this one invest enormous sums to ensure their rhinos are not the next to be taken down. The remaining white rhino population was moved to safety. Two decades later, while poaching rates in South Africa were soaring, poaching in Botswana had ground to a halt. It wasn’t until 2014 that the initial plan truly materialized, when Dereck Joubert made a promise to then-President Ian Khama. In South Africa, a rhino is poached every 6.3 hours. Dereck Joubert, Beverly Joubert, and Sven Bourquin. 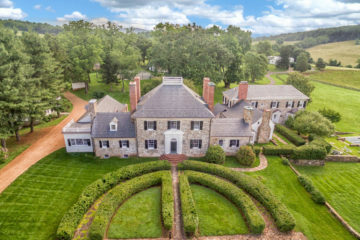 One June 2014 evening at Jason Paterniti and Nicole Watson’s Middleburg farm, a group of two dozen locals form a casual semi-circle on the lawn. 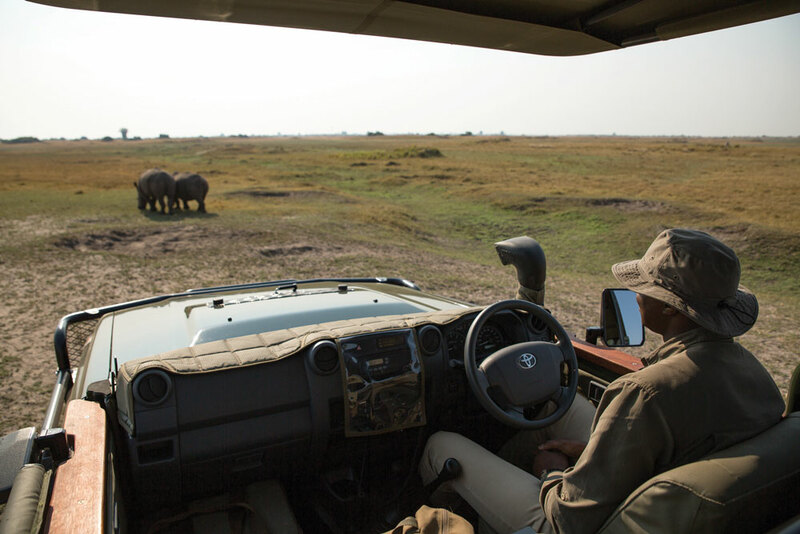 They listen as Dereck and Beverly Joubert describe Botswana’s pristine Okavango Delta and their plan to return one iconic species to the landscape. To pay for the translocation of 100 rhinos—including the quarantine, transport, veterinary costs, permits, telemetry equipment and a fully staffed security team—the Jouberts would need to raise roughly $5 million, or about $50,000 per rhino. 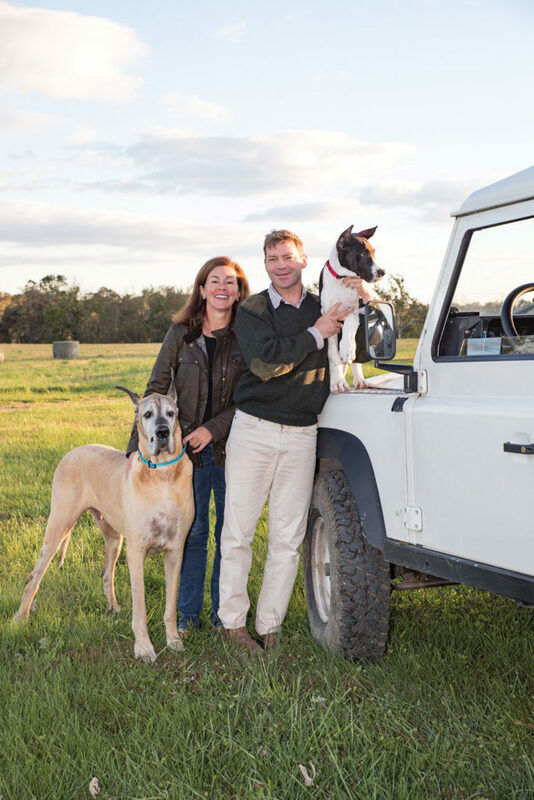 The June 2014 gathering at Jason Paterniti and Nicole Watson’s farm. Photo by Albert Lin. One of 22 calves born since Rhinos Without Borders began moving animals in 2015 grazes amongst the tsessebe (front) and red lechwe (back). 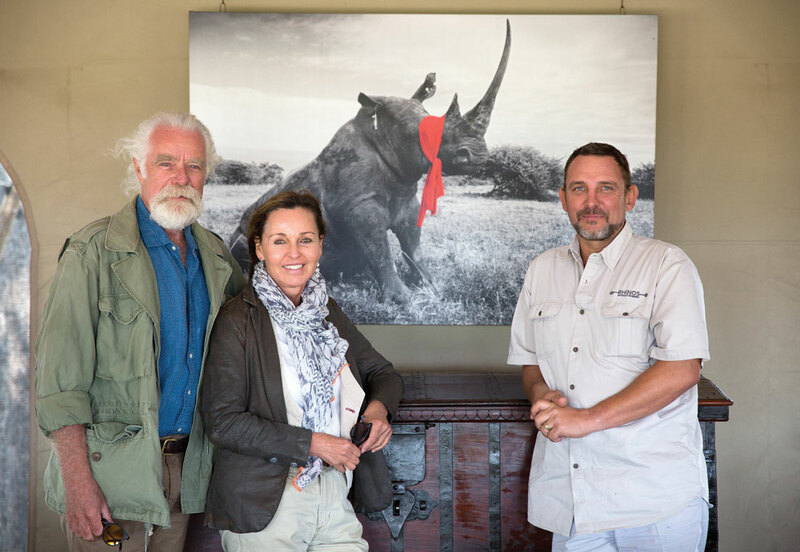 Vos and his wife, Patricia, are among those who sponsored a rhino at the 2014 gathering. 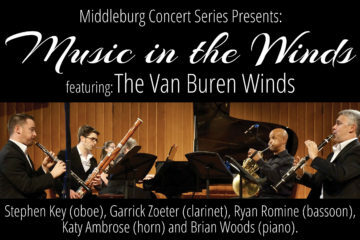 As word of the Jouberts’ plan spread, more friends from Middleburg and Palm Beach, FL, pledged their support. All told, the Middleburg gathering procured more than enough funding to move seven rhinos during the project’s inaugural year. “We weren’t really trying to do anything other than have interesting conversations,” laughs Watson. If community is important in philanthropy, it is even more so on the ground, especially in the villages that surround conservation areas. 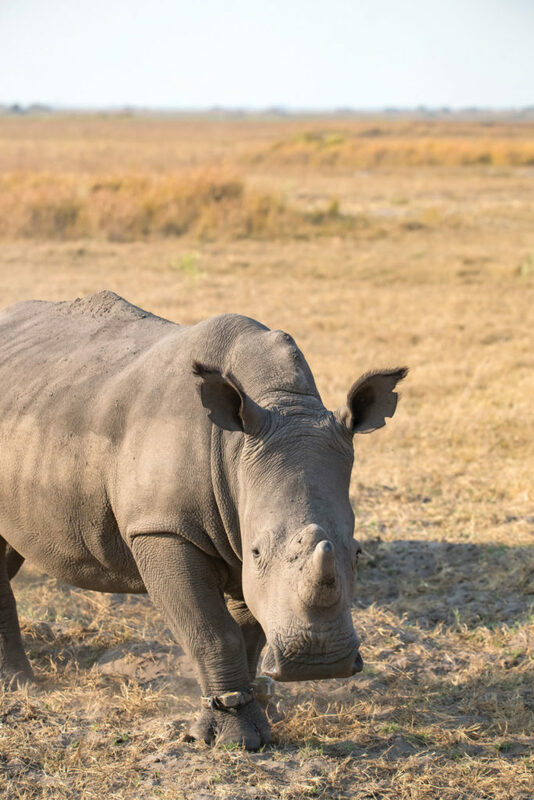 In Botswana, Bourquin and his team at Rhinos Without Borders rely on the community outreach and education programs of their nonprofit parent organization, the Great Plains Foundation, to ensure a culture of protection around the rhinos’ new habitat. Many of their efforts are directed to educating communities about the benefits already conferred by living harmoniously within a wildlife-rich landscape. 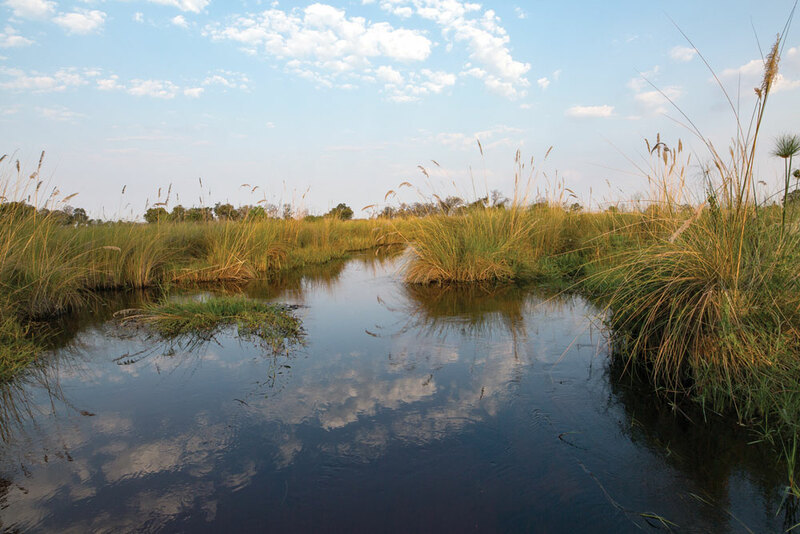 The Okavango Delta is a vast, pristine freshwater ecosystem large enough to be visible from space. It was listed as a UNESCO World Heritage Site in 2014. 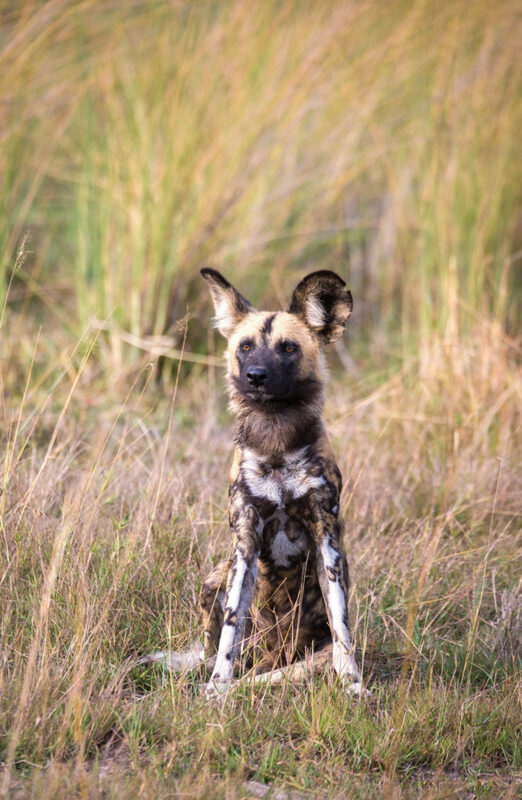 Wild dogs are some of the most endangered animals belonging to the Okavango Delta ecosystem, with only an estimated 5,000 remaining in the world. By current estimates, Botswana is home to nearly 100,000 plains zebras, or 20% of the global population. The species is listed as Near Threatened on the International Union for Conservation of Nature (IUCN) Red List. Rhino monitors RBJ and Jacob Motshereganyi. While fighting poaching and restoring an ecosystem are meritorious alone, Paterniti emphasizes the project’s fundamental reliance on sound data and tested theory. The concept of “spatial diversification,” creating multiple sub-populations across Southern Africa, he says, makes the species more resilient to outbreaks of disease and violence that might otherwise endanger the entire population. Rhinos are given identifying ear notches and fitted with specialized telemetry equipment for around-the-clock monitoring. “It’s also about creating genetic diversity and spreading the risk. It doesn’t make any sense in any portfolio…to put everything into one stock,” explains Dereck Joubert, likening the effort to diversifying a financial portfolio, something Paterniti knows by trade. 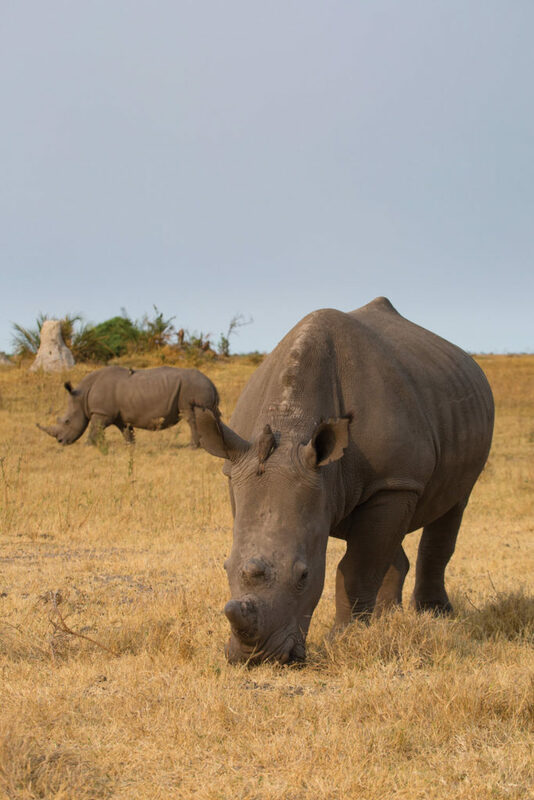 The gestation period for a white rhino is 16 months, and the calf will stay with its mother for about three years or until the next calf is born. To explain this compounding interest of rhinos, Paterniti turns to the famous example set by South African conservationist Ian Player. Player’s translocation of about 200 white rhinos into Kruger National Park in the 1960s—a time when legal hunting had reduced the park’s rhino population to zero—manifested over time into what is now the largest extant population of rhinos in the world. At an estimated 8-9,000 rhinos, it is nearly half of the world’s population. Paterniti turns back to his screen and points to another chart. 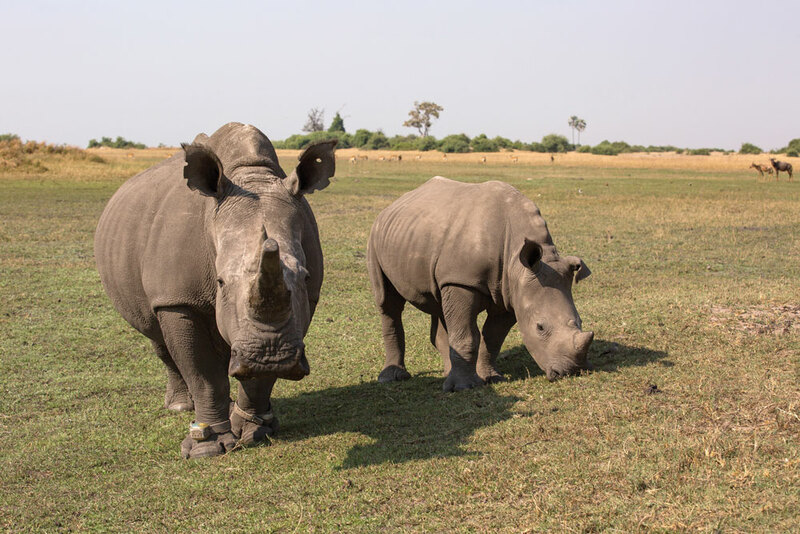 With an initial investment of 100 rhinos, his comprehensive data shows that Botswana’s rhino population should grow to 3,500 within 50 years at current rates. 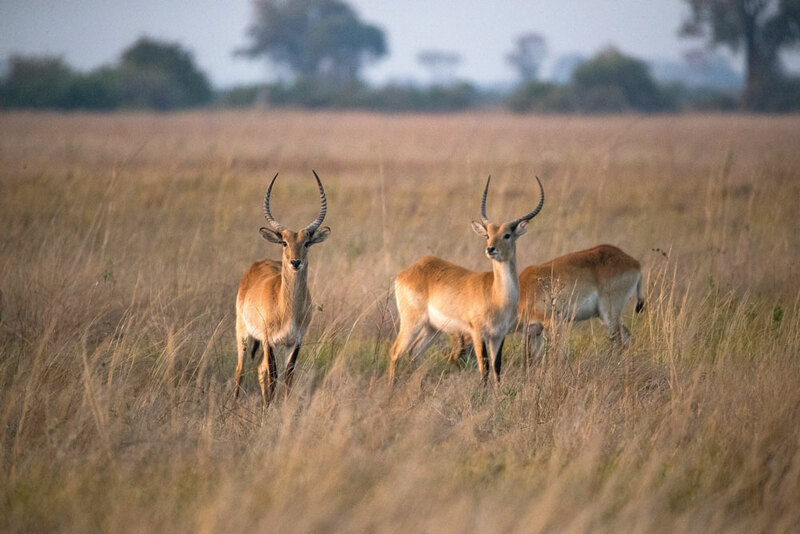 A bachelor herd of red lechwe grazing at dawn in the Okavango Delta. Back in Botswana, the lunch dishes are scraped clean. Bourquin gathers his things to fly himself back to Maun, where he can check on rhinos and monitors from his “Ops room,” and the Jouberts prepare to return to the bush, where they are filming their latest documentary. 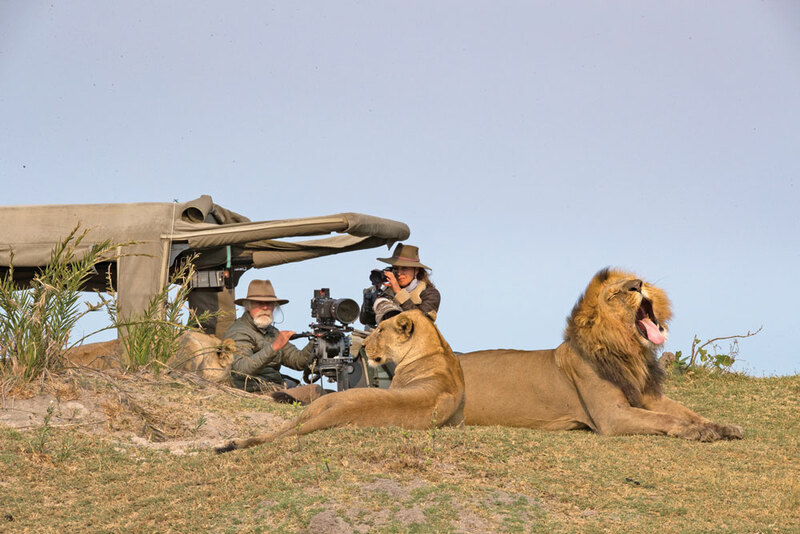 Dereck and Beverly Joubert film a favorite pride of lions in the Okavango Delta. Lions are listed as Vulnerable by the IUCN Red List. When asked for a concluding sentiment—what they love most, be it big cats, rhinos or something else—the Jouberts have no hesitation. “The whole ecosystem, without a doubt,” answers one. “It’s what you’re looking at behind us,” says the other. “Besides each other,” laughs Bourquin; the Jouberts’ love story is practically lore in the wildlife conservation world. 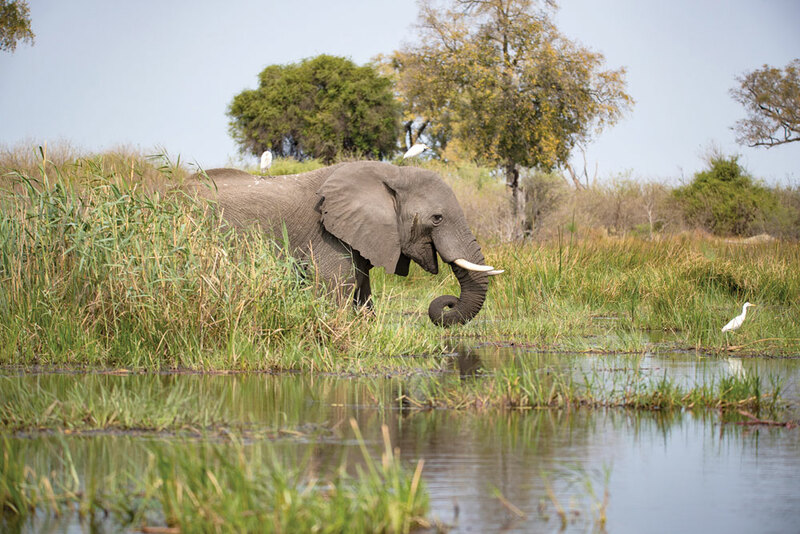 Botswana is home to an estimated 130,000 elephants, at least 1/3 of the world’s population. 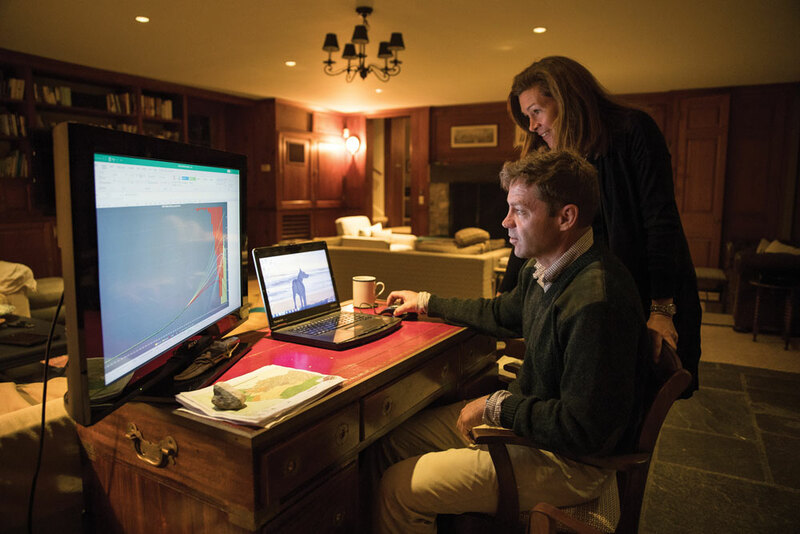 Jason Paterniti shows Nicole Watson some of his charts, which analyze historic data of rhino populations and show current projections. Phase one of the Rhinos Without Borders campaign is expected to conclude this year with the translocation of the remaining 13 rhinos. But the team will continue to move rhinos, and funds are needed for the ongoing protection of the new Botswanan rhino population. 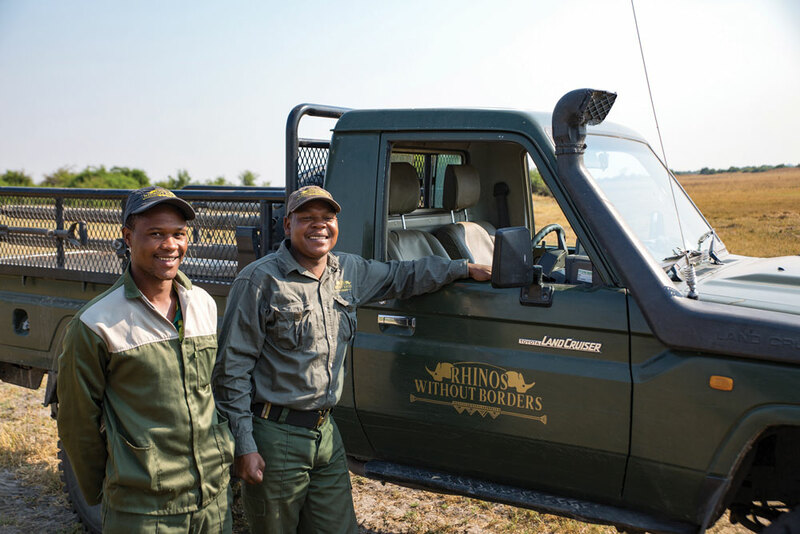 If you wish to get involved, or to learn more about Rhinos Without Borders, visit rhinoswithoutborders.com. 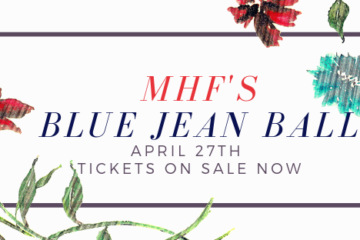 For further information, contact Anna Rathmann at annarathmann@greatplainsfoundation.com. Callie Broaddus is a senior designer at National Geographic Kids, however the research and travel were coordinated independently with the Great Plains Foundation and Middleburg Life.